A day in Watford for the Amersham & District Motorbus Society running day. Wright Handybus TKZ9791 at Milton Keynes Central, 26/04/2015. 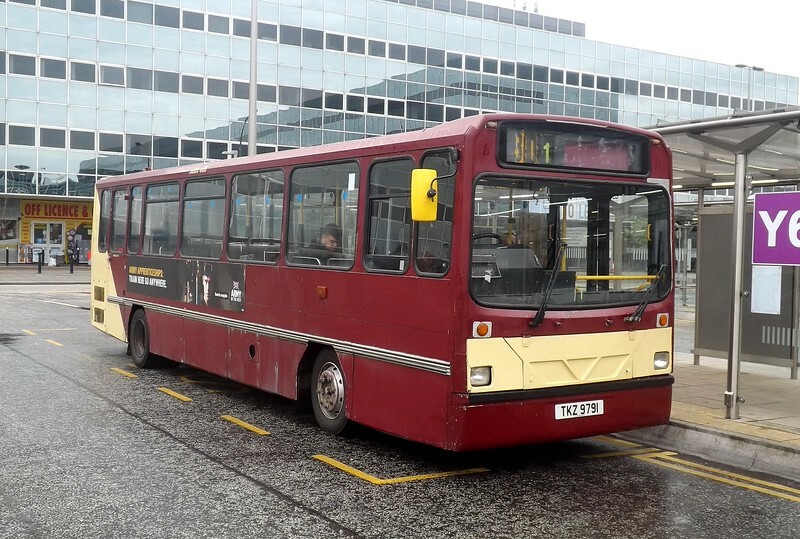 Former Brijan Tours Dennis Dart Wright Handybus TKZ9791 (formerly J631KCU) at Milton Keynes Central on the 301 Watford running day feeder service, 26/04/2015.